Who needs energy drinks? 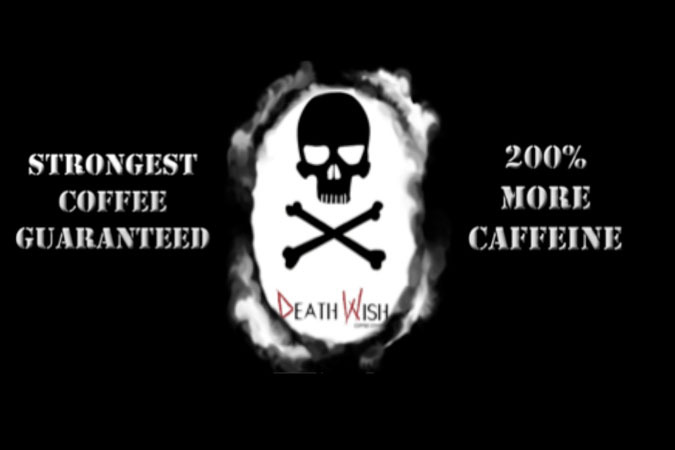 Death Wish Coffee is riding the caffeine craze with coffee it claims has “more than 200 percent caffeine” – which is a little misleading, since they really mean it has twice the caffeine (not 200 percent more caffeine) as regular coffee. The company says their coffee isn’t juiced up with added caffeine, but instead is made with beans that are naturally high in caffeine, and then roasted to ensure less caffeine loss. 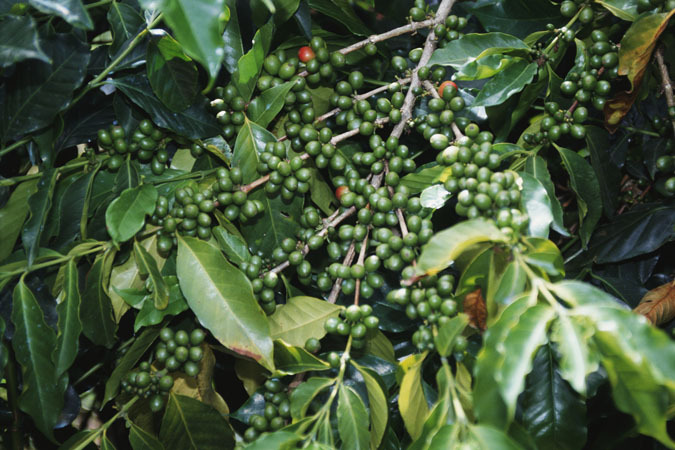 But it’s unclear whether these beans are robustas or arabicas, and where they are grown. I’ve got a few other questions for the company and have sent in a media request. Stay tuned and in the meantime, here are links to Oddity Central’s review and the Death Wish Coffee website. No one knows for sure when humans first consumed caffeine. 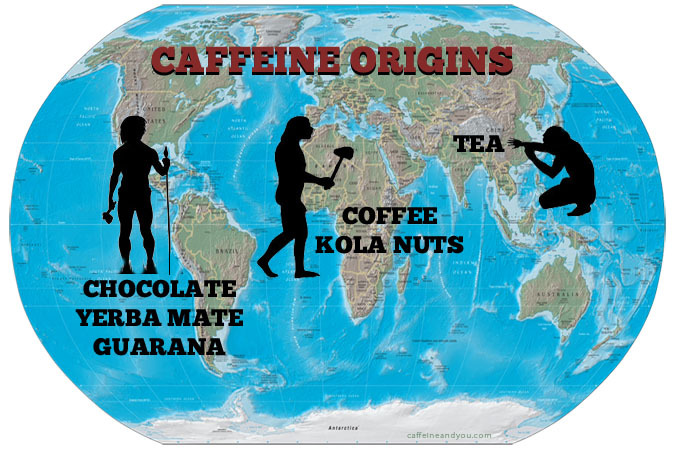 Africa was the starting point for coffee, and probably fueled early man. Tea has its roots in Asia. Cacao, the source of chocolate, is native to Mesoamerica, while guarana and maté originated in South America. Kola nuts hail from Africa. Today, we get our caffeine from the same plants, though in different forms, with complex processes ranging from simple steeping to grinding, fermenting, and roasting. Before jumping into energy drinks and caffeine-enhanced products, let’s start with the basics: caffeine in its natural forms as coffee, tea, cacao, guarana, and yerba mate. Okay, so what gives? These sound like conflicting statements, but the devil’s in the details. 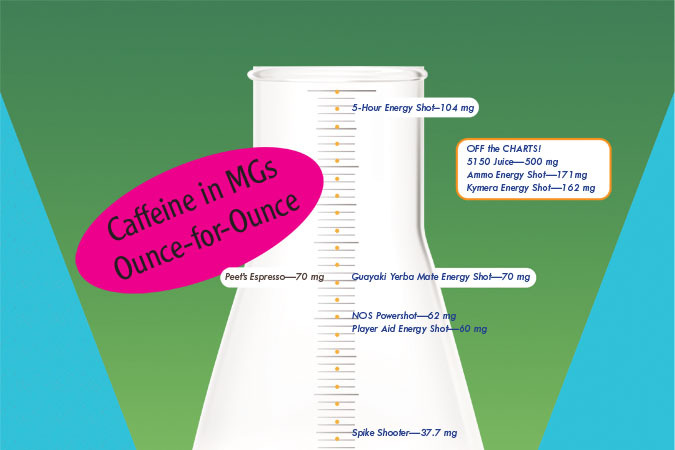 The energy drink industry likes to promote the first statement, which is partially true: ounce for ounce, some energy drinks really are as mild as coffee; but others are many times more caffeinated. So it depends on the brand of energy drink. And in most cases, the label does not indicate the amount of caffeine a drink contains. The second statement, that large doses of caffeine create health risks, is also correct – and how these highly-caffeinated energy drinks are promoted and consumed makes them drastically different from coffee or tea. 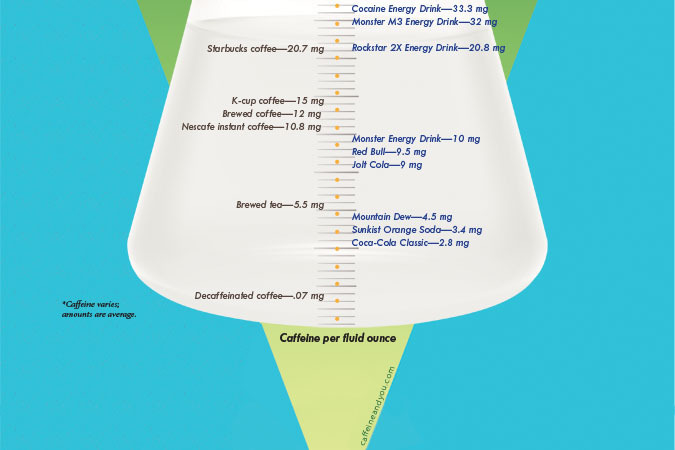 If you want to consume caffeine safely, then you need to know how much caffeine you’re consuming – whether it’s in the form of an energy drink, energy shot, coffee, tea, or other substance. 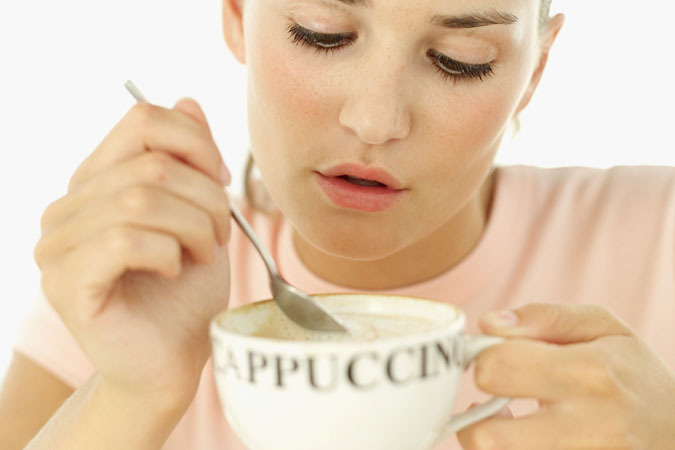 High doses of caffeine over-stimulate the body, and can trigger sleeplessness, tachycardia, nervousness, impaired decision making, and other reactions. 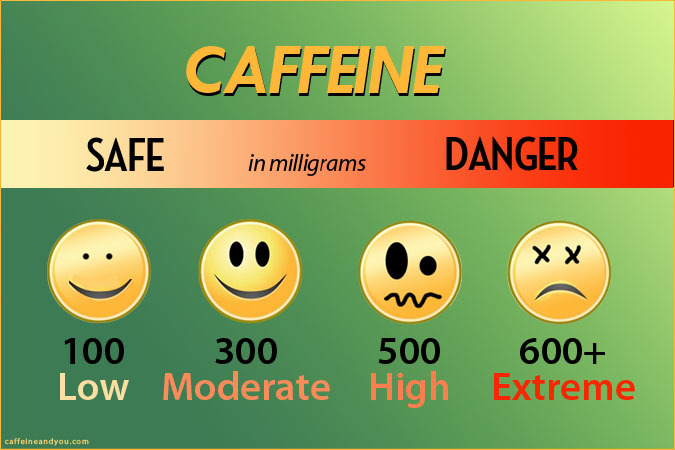 Large amounts of caffeine are riskiest when ingested in a short amount of time, and consumed by people who are more sensitive to caffeine’s effects – which includes pregnant women, children, teens, and people with certain health conditions or genetic sensitivity. You’ll find more details on caffeine’s overall effects, and how different individuals react to caffeine, in Chapters 8 through 11 of Caffeine Basics. Next: Find out what the American Beverage Association, an industry lobbying group, tells consumers about energy drinks.